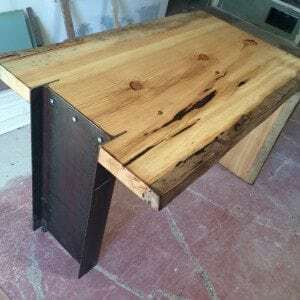 Here’s a fun i-beam and waterfall edge style live edge slab desk made from one of our beetle kill ponderosa slabs. 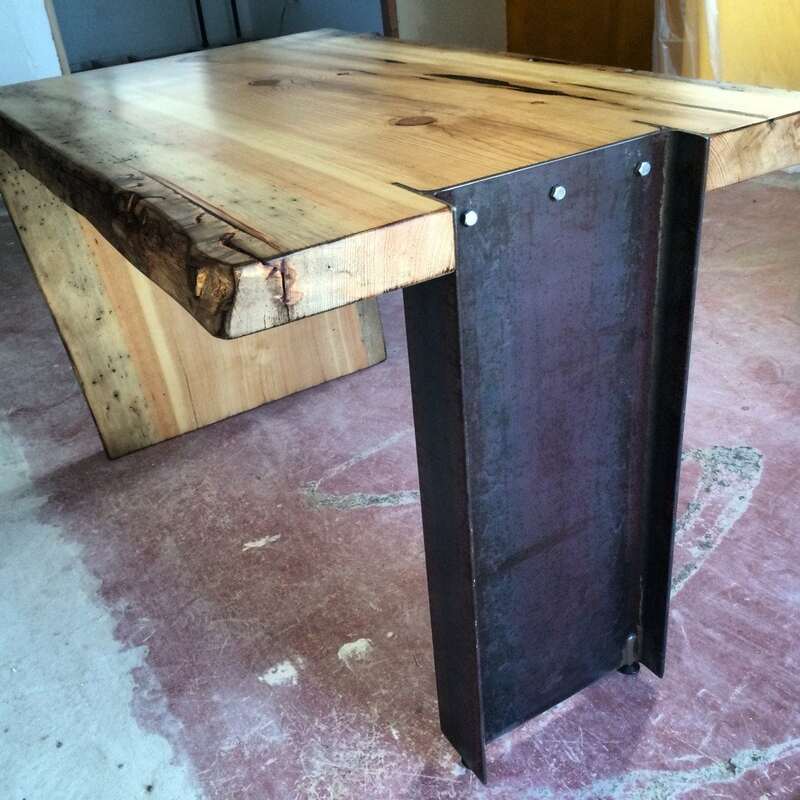 This has a custom lacquer finish and the steel has a polyurethane coating. We added levelers to the i-beam. 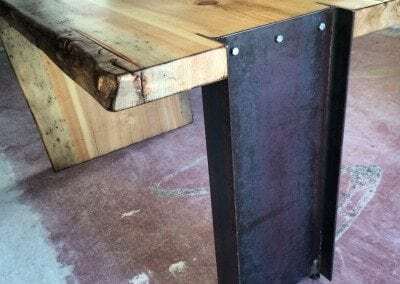 The steel was routed into the slab to give it a very sleek and handsome attachment point. Nice design. Definitely a fun project. Would love to do more like it.